With the continuous increase in DDoS attack volumes, cloud DDoS mitigation has become a very popular and powerful solution. While the RTBH (Remote Trigger Black Hole) mitigation feature within Kentik Detect® was designed to black hole DDoS attack traffic, the same implementation can be extended for use as a trigger for most cloud scrubbing DDoS services. 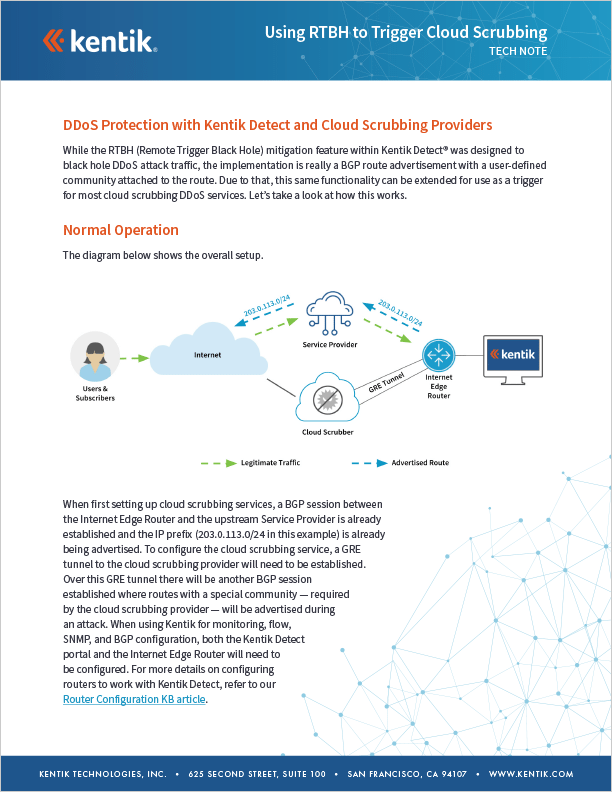 Download this technical whitepaper to learn how Kentik can be configured for cloud scrubbing DDoS services.